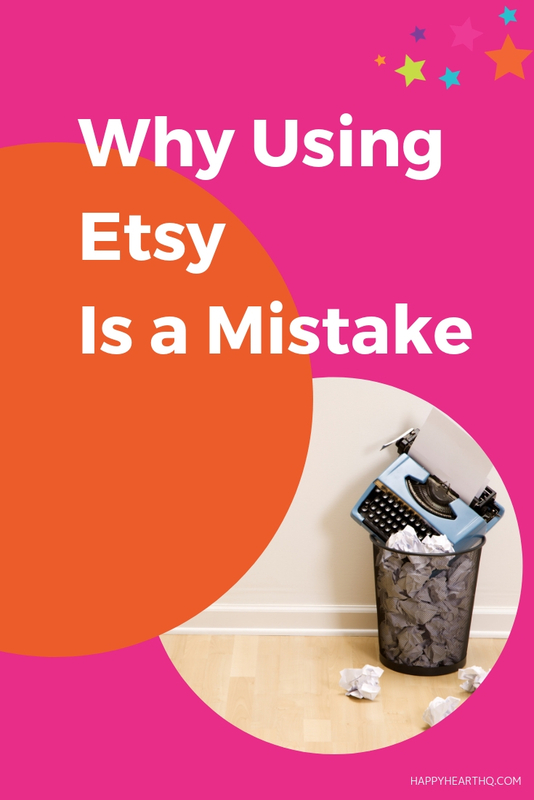 Ok so you are wanting to sell your products online and you’ve heard Etsy is a great place to “join a creative marketplace where more than 33 million buyers around the world shop for unique items”? I want to walk you through the pros and cons as it really depends on where you are at with your business and how much success you want to achieve!. Back in 2004, I used to have a physical shop and also an e-commerce business, I was one of the first sellers on eBay and sold on Amazon too! I understand first hand what it is like to work with 3rd party platforms and how it can affect you and your business and want to help you. The Pros: If you are just starting out in business then Etsy is quick to set up, it allows you to market on an established platform and can be a great place to test out a business idea with minimum commitment. You can research and gather information to test what works well for you. 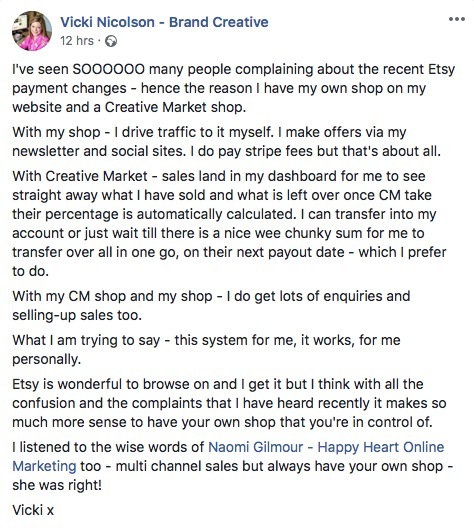 Ok so you may have established a pretty good following on Etsy by now but you are now realising that the confusing and costly fees are eating into your margins? The Cons: However you will still need to pay Etsy costs (approx 10% of your sales) YES YOU READ THAT RIGHT 10%!!!! and you DO NOT OWN YOUR BUSINESS on Etsy either – They do! They can change the search at any time, change the costings, remove you completely, your competitors can easily access the same platform. It is not your bricks and mortar – you are building your business on borrowed land. So it’s time to consider what it is you want for you and your business? So what’s the plan!.. well I want you to think about the margins and money you are actually paying to Etsy? The Pros: It’s great to still have a presence on Etsy if you are making money and getting traffic there but as a long term plan it’s about getting them over to your own online platform – Your Website! The Cons: It’s costly and they own it! Think about how else you could be spending that money? Investing in your own website? Buying More Stock? Re-investing in other marketing that will deliver long term results? Booking a Weekend Away? Going on an all inclusive holiday to the Bahamas? If you have your own website you can build up your OWN SEO, you can grow your OWN online shop, you can build your OWN following, you will be in control of your OWN business and will be creating your OWN business success! I’m NOT saying move away from Etsy or any other platform completely! The best plan when selling on other platforms like eBay, Amazon and Etsy is to use them to gather your crowds and customers but move them onto your own website. Back in 2006 80% of my traffic went to eBay and 20% to my website and by 2009 I had completely flipped this around with 80% direct to my website and only 20% to eBay but eBay still helped me market and drive my business forward just in a managed and controlled way without giving them all my money! Through repeat custom and the ability to invest in ads and other marketing campaigns I also increased my turnover from £25k to a whopping £960k!!! and I really want to share this to help you – it’s time for you to save oodles of money by educating your customers and visitors to come to your website and use multichannel sales to help and support your growth! Sound good? So how can you get started? 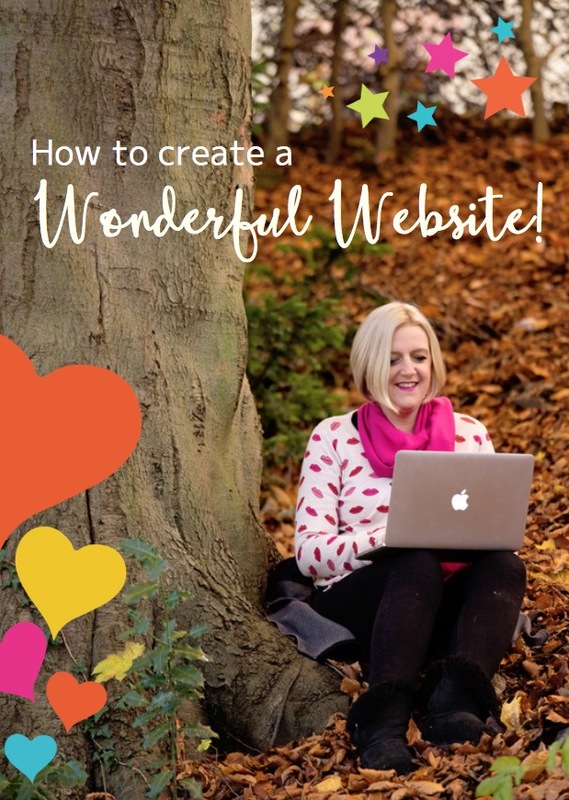 Well I recommend you get a WordPress website, it’s the ultimate platform for your website (in my opinion) and if you are feeling like you can’t do it on your own I have a couple of simple solutions that will help! And I can’t wait to help you to save money and sell more products online more of the time!